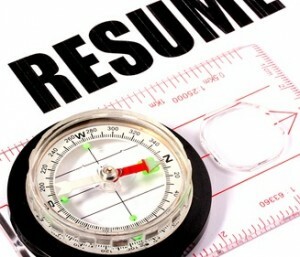 There are different types of resumes, each one suited for a specific situation jobseekers may face. If you have solid work history, for example, you’ll need to use a chronological resume. Likewise, a skill-based resume focuses on the most important skills of a job applicant rather than job positions. Many times, job applicants are faced with a situation where they want to switch to a new career for more satisfaction and a better work-life balance. While changing from one career to another, your transferable skills carry the most significance. That’s exactly when a skill-based resume comes into play. But do you know how to write it effectively? While writing a skill-based resume, the first thing you need to do is create a list of all the skills or abilities that you carry. To get it done, you’ll need to look at your past job experiences and your previous roles and responsibilities. Right from the time you stepped into the workforce, you might have taken care of different types of tasks. You need to take every type of work experience into account. This should include your part-time job experiences and internships as well. The point is to make a list of all the important skills, talents and abilities that comprise your personality. If you want to move on to a new career, you must have a target job or job title in mind. Therefore, you need to take a closer look at this new job and make a list of all the skills or abilities that you will need. Most of the advertised jobs come along with a job description, which you can review in order to know about the required skills. In case the job advertisement doesn’t have a detailed job description, you should feel free to get in touch with the employer or the HR department to gather the essential details. You have two lists of skills at hand. The first one is the list of all the skills that you possess. The second list mentions all those skills that are required by your target job. Now, you need to compare both lists and pick those that match with one another. If you carry matching skills, as required by the target job, you should quickly take note of them. For each matching skill, you need to create a subheading which contains accomplishments or achievements related to that particular skill. While writing the skill statement, always start with action verbs. Finally, it’s time to put together your skill-based resume. Start with a meaningful objective statement. Then go on listing the skill headings along with the skill statements that you have written. At the end, you can mention in brief about your academic qualification and work history. A skill-based resume allows you to quickly grab the attention of the employer even when you are switching to a new career. Since you could face a situation like this, it’s vital that you are fully aware of how to write a skill-based resume effectively and land the target job without much trouble. Have you used a skill-based resume ever? Please comment. This entry was posted in Resume and tagged resume, skill-based resume on August 5, 2013 by Alex Strike.